You might already know that I have a teen-age daughter. She is a kind of girl who would admit PJs sewn by her mother are the best in the world, but that's all of what she would say. She is not interested in my sewing in any ways. Some days ago, I casually spoke to her "See, now another one is done, Darling", showing a dress form which was wearing my latest beige cardigan jacket. Though I didn't expect her specific reply for my call, that day she smiled at me slowly, and said "Mama, you seem quite happy with your sewing these days, and I see quite a perfection in it. I think the jacket is gorgeous too. You're doing so good. I'm very happy for you." Of course she was not telling that her mother's sewing skill was improving. She mentioned that I was in a good balance of something... avocational. Because I sew what I really love and as much as I love, without feeling intimidated, I'm generally staying cool in my spare time. And she is happy with me like that. My sewing is something that rest of my family wouldn't be involved in almost at all, but I felt it was great for them too if my hobby could make my family happy in an indirect way. I'll be sitting in front of my sewing machine with a happy soul in 2012 too. Sew with me! I'm practicing photography lately, a wee bit, by myself, and this is me in yesterday's morning. It was a calm and beautiful Saturday morning. We decided to take a walk to our favorite Italian restaurant for lunch. As there was a plenty of sunlight, I was so happy to annoy my company with stopping at every flower on the way for releasing my shutter to fix the beauty in my camera. The restaurant had a stretch of pretty private path which was very much taken care of with lovely plants, and I had to take thousands of pictures of flowers by the pavement when we were almost there. My DD and DH ended up being kept waiting for me before entering the cozy inside for delicious pizzas. I'm lucky to have a pair of very patient company in my life, I really appreciate it! 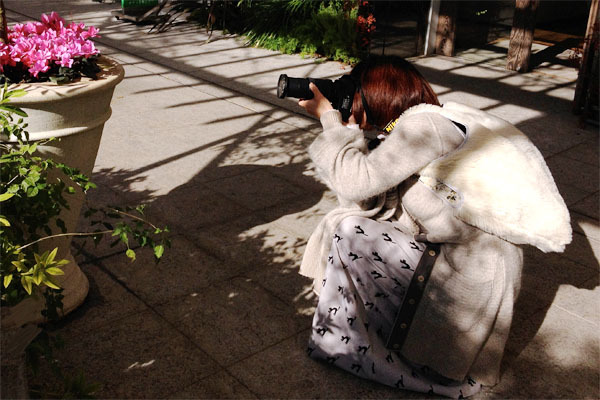 They made fun of me with taking my photographs of photographing too. I guess they were talking about the weather, like a harmonious elderly couple. 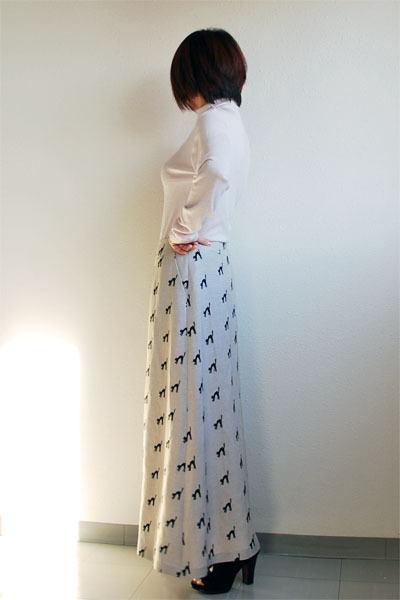 I made another long skirt. I love this blue skirt that I made in October very much, but I have one thing that I regretted... It should have been longer in my first plan. I'm happy with it in the end, but I needed one more and that has to be one or two inches longer using the same pattern in more hanging fabric. Nerd. 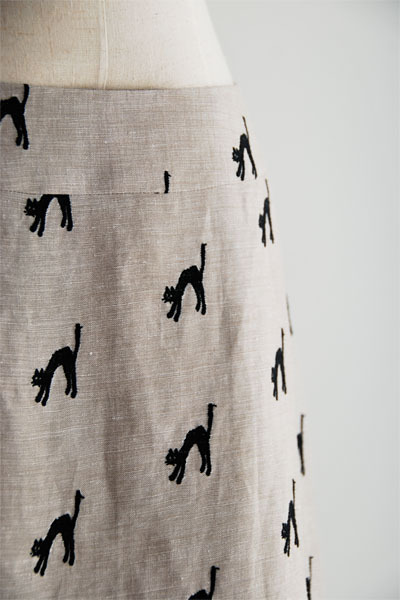 I used a flow-y rayon/linen fabric, with kitten embroidery. The kitten pattern looks kinda humorous and I think the fabric is pretty wearable. I really like it. Have a very good day, everyone! lengthened much, size 42(2size bigger than my usual size, to make the waist line lower). 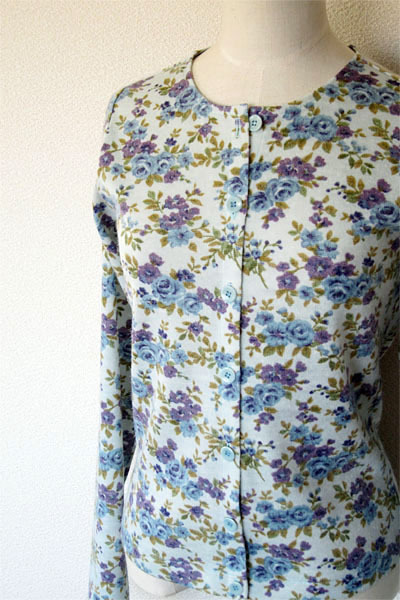 I made a cardigan with a nostalgic flowery print. Don't worry, I agree with you, that the print looks "out of days" to me too! And guess what, I'm very happy in this cardigan, and actually you might see my feeling in the pictures. I have to say that I really love this outfit on me. I think the colors suit me well. I know it may seem a wrong idea and you may see a silly logic in it though, I've hoped this feeling to be written in words for some time. You may think I am using the terms uncommonly, too. I'll try to be better in explaining if ever I get a second chance. Until then, please excuse me for giving you such a confusion! 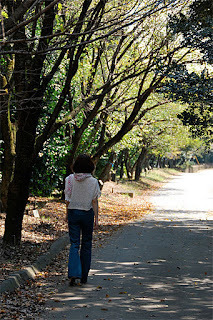 I used Fujiko body briefer pattern for making the cardigan. I omitted the lower part and added a front opening and it's done. 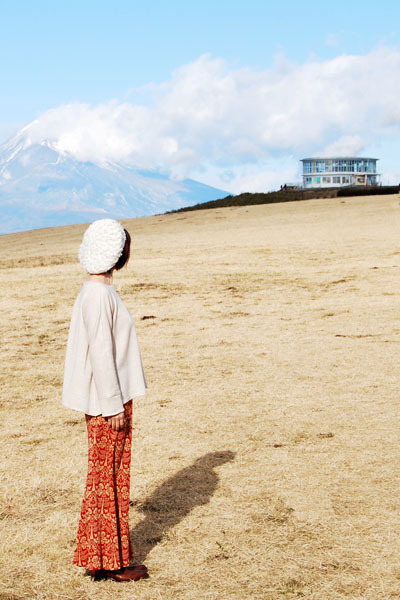 I also wear an white high neck pullover from the same pattern in the cardigan. 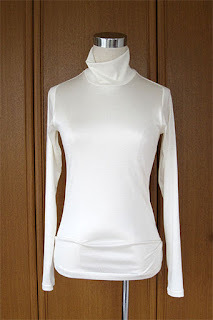 The white high neck was made from a silk jersey which is heavenly smooth on the skin...I really love both Fujikos. Happy sewing, everybody!! omitted the lower part and added a front placket and buttons. Hello, hope you're very well! As for me, I hate these tweed pants... because they really don't show their pretty texture, figure, lightness, and loveliness in my pictures. And what is more, I imagine that you can't even find the pants in the pictures because they are melting in my usual background. Mmm! Yes, I admit I am too upset, I shouldn't have forgotten to mention that I really love my new invisible but playful gaucho pants in the first line. I apologize to you. 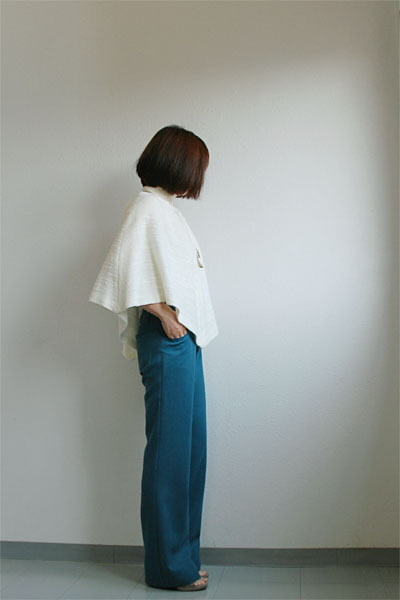 I lengthened the pants quite a lot, they are much longer than the length which the pattern originally calls for. Since I'm feeling like roomy and flowy clothes right this moment, they are so very perfect to me. They're fun! I'm so happy with them. 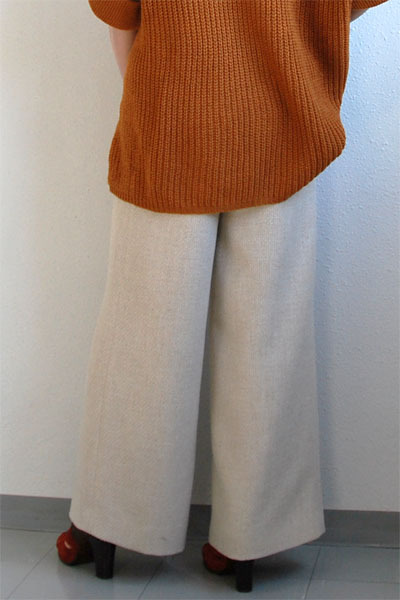 pattern: gaucho pants Avy from annee-pattern (not PDF), lined, lengthened. 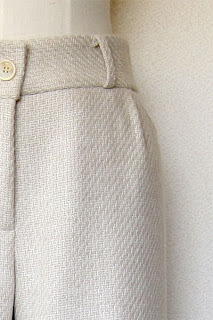 fabric: wool tweed, light beige, almost coat weight. I wanted this very long. I wanted that very red. And I wanted both very simple. 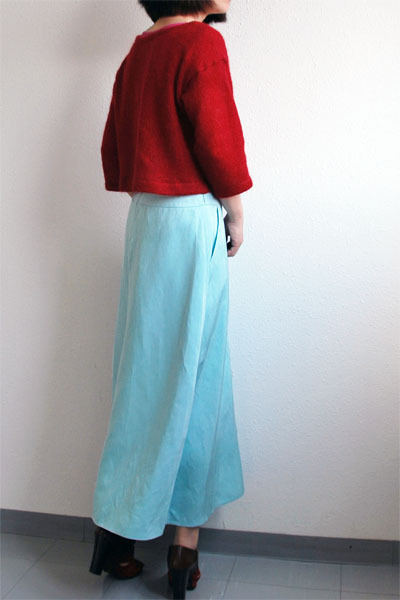 The skirt in sky blue is made of silk twill. Shimmering. Long. Flow-y. 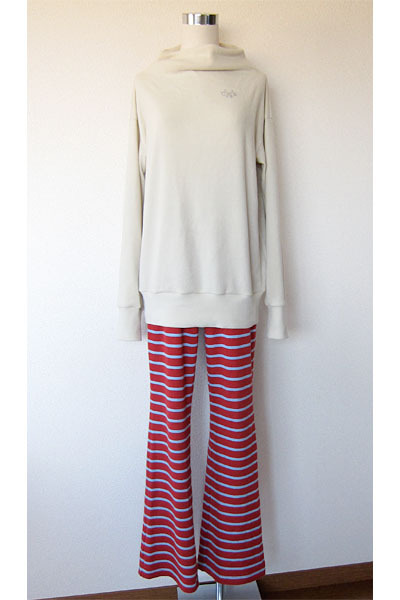 The red pullover is made of mohair knit. Red(i said it twice). Soft. Short. Hairy. They're too simple to describe, sewing-wise, as you can see everything at a glance. The only truth that you don't get from the pictures is that I laundered the skirt twice before hemming it. 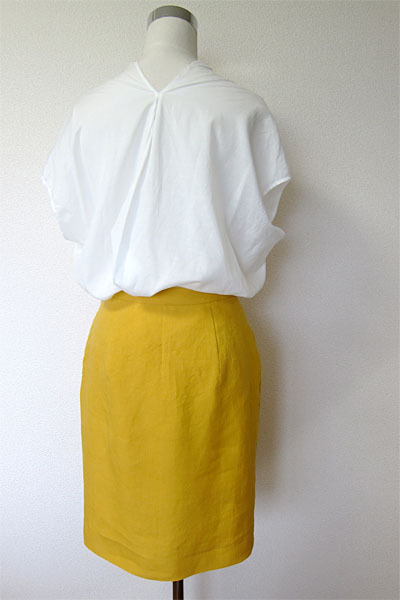 I wished to give the silk skirt a casual look before finishing it by washing it like a cotton denim skirt. A sewing extravaganza, eh? ... oh... I see your grin, trying to let me know that you had recognized my extravaganza by those creases before I said anything. Then I really have nothing to report today. Oh well. lengthened very much, top stitches, over-sized. 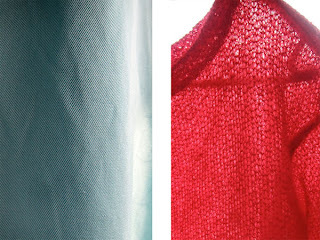 Fabric: silk twill, light sky blue, drapey, fairly heavy, shimmery. fabric: mohair knit, red, loose, soft, spongy, warm. Joker is the name of the pattern, for these pants. I've been very keen on green pants since this summer. I envied every one of green pairs I encountered in the magazines and the fashion web sites, but I was too inefficient to do anything other than looking at. 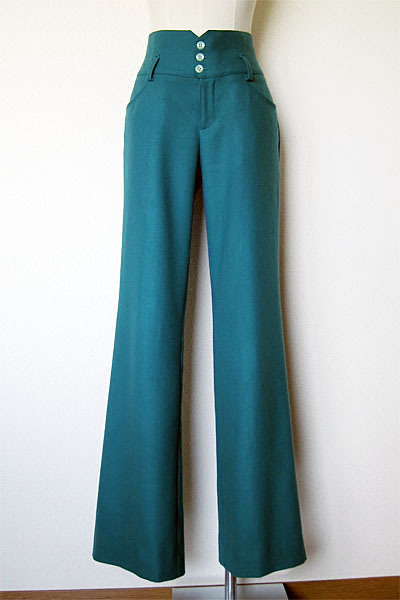 I only stared at them because I believed that no green pants would suit me in this world. There was absolutely some psychotic silliness as well as depression around me, because it was nothing but my preconception that was preventing myself from the beautiful color. Eventually and successfully, I encouraged myself to upset the queer balance, and materialised my pair in this subdued peacock green. Yes, I am no longer a person with a meaningless jealousy. Problem solved, personality ameliorated. I'm secretly improving. I've got this beautiful silk with flowery embroidery recently. I knew it would look nice and gorgeous if I made it into a dress, but you know what, I just couldn't. I made a tunic with it so that I could have more chances to enjoy my sewing result. 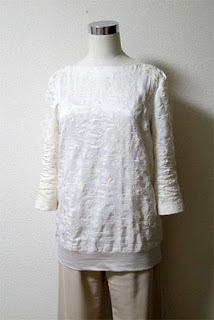 Beautifully embroidered white silk dresses don't do anything in my life... unfortunately. I'm really happy while I'm sewing, but I'm even happier when I'm tasting my fruits. Greedy! My lovely friend Kapo dropped by and we had a fun night out. The tunic was pretty enough for the great dinner we had. I wrote a review for PR this time. I hope it can be helpful to some of you. Happy sewing to all of you! fabric: silk habotai, embroidered, milk white, light, not sheer, soft. matching linen jersey for the hem band, shiny, thin, less stretchy. Fold over V-back dress, Loose fit. 3/4 sleeves. I omitted the skirt and made it as a tunic. 34-42, I used 34, which was one size smaller than my regular choice. Probably I'd better to say no, because the V open in the back seemed more revealing on me than it looked in the sample pictures. I had imagined that it would be so by looking at the technical drawings, so it wasn't surprising to me, though. I made a tank top as an undergarment for this tunic using the matching fabric to the hem band. I liked the V open. I was doubtful whether the tunic would successfully stay sitting on my shoulder, and that actually became a problem. I put a pair of shoulder strap fasteners on the inside of shoulder seams and they did make my tunic wearable. I used a silk habotai, which had a beautiful embroidery all over. 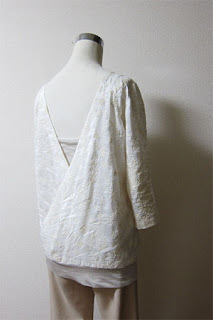 The color of the fabric as well as the embroidery was milk white. I also used some shiny white gray linen jersey for the bottom hem band. I omitted the skirt and also shortened the bodice by 5cm(2in), and added the hem band which was about 7cm(2 3/4in) in width. 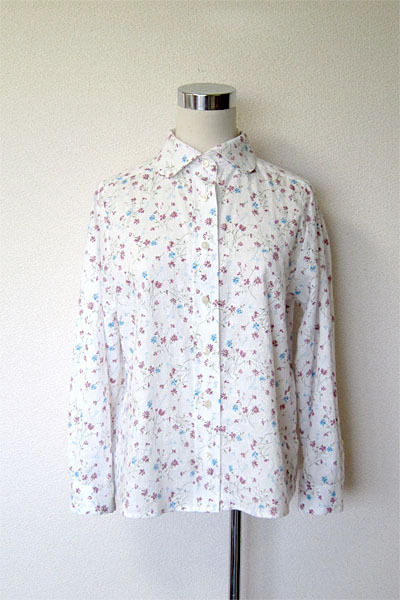 The sleeves were shortened by 5cm(2in). There was no zipper needed when I tried a muslin, so I omitted the zipper for this tunic too. I cut all my parts in the vertical grain, because of the pattern of embroidery. No, probably no more tunic in this pattern, because I only need one copy from this design. I'd be happy to recommend this if you like the V-back, as it is very charming. You may feel you need a suitable undergarment for the V back, because it is wide open. I needed a pair of shoulder strap fasteners to keep the cloth hanging on my shoulders, and I definitely recommend them too. This pattern is very easy to make, and also very fun to put on. I liked my one to be a top(tunic), but I think that dress versions would be pretty too. I've sewn some garments for my sister, as it's getting cooler and we're feeling like new clothes. The other day and for the first time, my little sister asked me if I could sew just one pair of pants that was similar to the pair I made last autumn for her. And of course, I was pretty happy to be asked like that! It sounded as if she loved the last pair and chose asking me to make another pair instead of buying something smart from the shops. Though I didn't know if my fantastic idea was true or a real fantasy, it was enough to excite me to finish too many garments sewn for her. 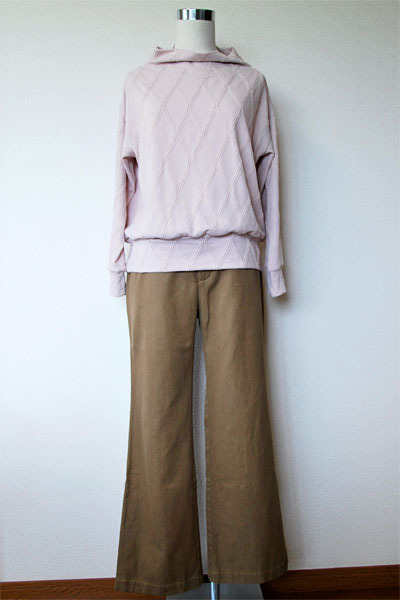 I sewed two pair of pants, a shirt, a pullover, a cardigan, and a bag, and named the group of those newly handmade clutters "a pair of pants". I made these for her in case she needs to go hiking wearing pink and brown. 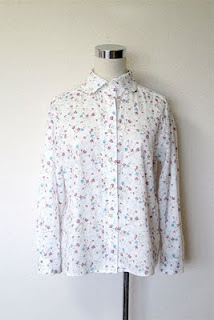 I sewed the shirt in case she needs to go to library in a flowery shirt. I promptly sent them over in a BIG box and she politely let me know that it reached at her without any delay. She also reported me that they were all perfectly perfect on her and she loved them at all. I doubt it. I would be frightened if the two words of "a pair" turned into a BIG box. I'm sure she regretted the consequences, definitely. I also sewed for myself, slowly. 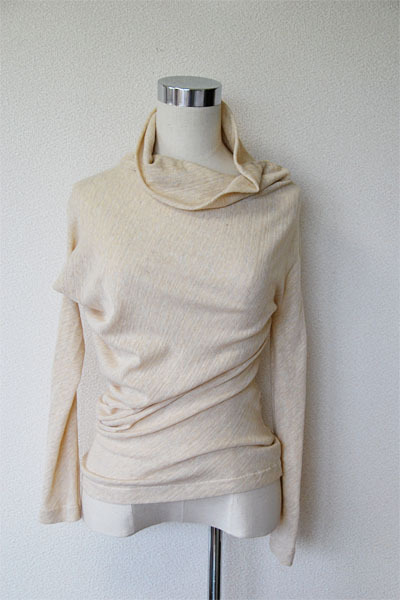 My latest finished garment is this cream yellow pullover. 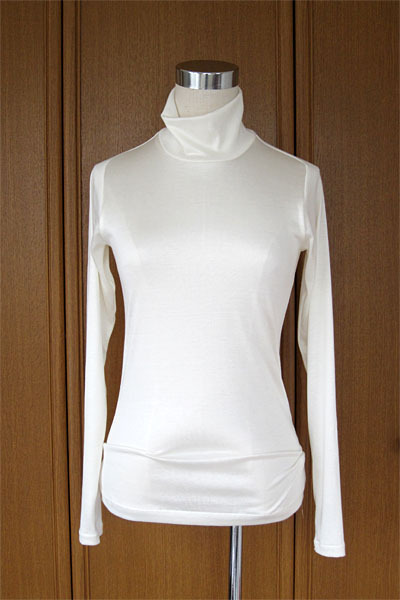 This is kinda cotton copy of my favorite woolen pullover, which I bought(oops) for this winter from Yoji Yamamoto. This has a twisted funny grain in the upper half and it causes charming creases in the lower half. The fabric I used has fine silver bias stripes on it, and because of them, the pullover may be even more confusing in grain-wise in the eyes. Said that, this is funny but very simple PO and I'm very happy with the result. 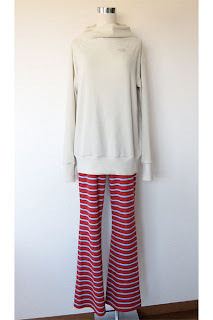 My sarrouel kind of pseudo jodhpurs were described in this post too. Although it is still hot here and the temperature is rising up above 30˚C/86˚F in daytime, autumn is already smelling in the air. 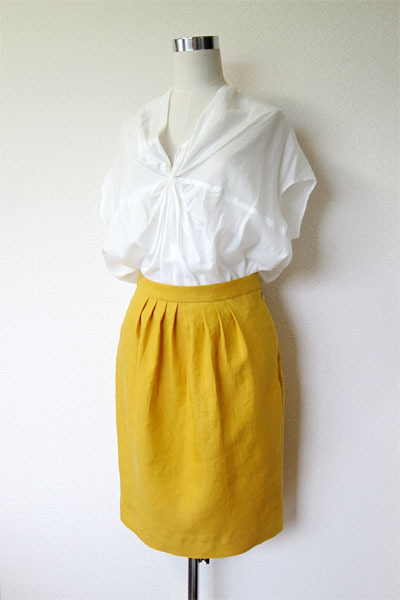 I sewed a skirt for early autumn in the color of marigold. Before starting this project, I wished my new skirt to be a small one with a slimmer silhouette in orange-yellow-brown-ish color, but didn't want a pencil skirt. I also wished to try one of the patterns from burda style magazine this time. I chose the pattern 10-2010-115 after an intensive research and bought the PDF version at BurdaStyle. I also found this quality fabric in the summer clearance sale section of an online shop. I must admit that I wasn't comfortable to find my fabric at "the summer clearance sale" because I was making an autumn skirt, but there was nothing that I could do except forgetting it. Yes indeed, it was linen. However, to my eyes, it was thick and stifling and sultry and darken and autumnal and...... ah, linen. Anyway, I found some autumn in it, and this is my celebration of surviving another summer. Regarding the alteration on the pattern, I made some tucks on the front skirt instead of making gathers as originally instructed. I did so, because I thought that it would reduce some bulk in the tummy area, and also because I liked the impression of wavering tucks in this kind of fabric. I prefer tucks to gathers on linen most of the time. I fit the size, added a lining, made a curved belt, omitted the side pockets, and moved the zipper from back center to left side. Eeeeeverything is under control. I hope you are having a great weather no matter where you are!! First of all, I'd love to tell that I appreciate every single comment you made on the last post very much. I felt your kind hearts and it was overwhelming. Thank you for saying me that I'm not boring, it was really really kind. I was feeling like a child who had a fall down on the ground, looked at the mother, and heard her saying "it's OK, darling" to making sure it's OK. The words from those who you trust can easily blow away your uncertainty. That said with my sincere thoughts, I am a bit sad about what I wrote. I have to say that I was not willing to mention in the last post that I dislike to receive people's opinion. I didn't want to give a special focus to the fact that I was hurt by the comment. I didn't write it for seeking a consolation either. I wanted to tell you why I start and continue sewing my stuff and how I evaluate what I am currently making for myself. And why I blog as well. I am happy about the situation between me and sewing although the prominence of it is very subtle to others (sorry I say this kind of things again but I say it here for making the story clear to understand). And I wanted to share my feeling with you, those who would like to read my writing, because I thought some of you might be understanding my story. I wanted to show off my idea that I'm terribly OK with my trashy boring handmade because I am believing in what I am doing to be good, after one and big consideration. I should understand that I have failed in writing to make the post enough clear about it. That said and that said, I think you have read me as I wished too. I understand why you left so much kind comments to encourage me to discount the incident, it's because, it is very understandable that getting unkind comments from anonymous would hurt. Actually it effectively hurts almost everybody who receive such comments, greatly or slightly, and it does especially affect those who never imagine to make efforts to leave unkind comments to other internet users. Because you are not the people who dare to try leaving whatever unkind comments, you kindly urge to make me feel better about it. I certainly received your kind soul that is absolutely 100% shared with me. Thank you very much, dear. I rushed to write this for showing my appreciation and thoughts. Please excuse me if there are so many strange expressions and mistakes in my writing. I hope you discount them. I hope you extract my thankful thoughts from it too. Another easy tiered skirt and a simple pullover (with peeping shoulders!) I had a great fun with thinking how they would go with each other while I was sewing them. I think they turned out pretty well as I hoped. Please be warned, I think I'm going to mumble funnily today. In recent years, I'm quite happy with what I sew. To me they seem just right on me, although I know that they are not too special or very distinguishing to others. That said, I remember that I wasn't feeling relaxed this much some time ago. I didn't tell this to anybody until now, but I tell you that I had been said once by some stranger over internet that I was a very boring seamstress and I only generated something similar and tedious. I was fairly discouraged by the opinion. I felt as if I was rated bad and given a serious verdict. 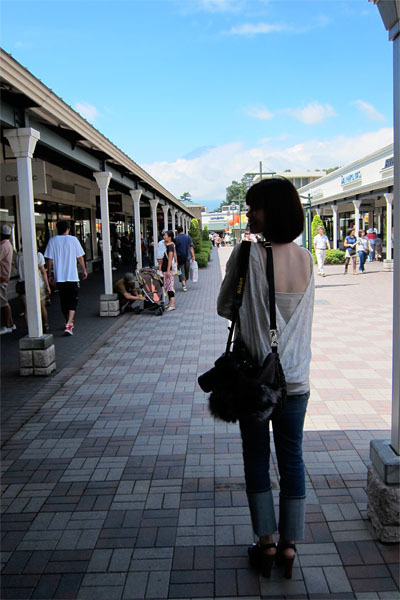 Looking back, the fact was that, I stupidly didn't know what was important and what was not to me at that time. Thanks to the experience, I started considering what my sewing was. Do I have to sew a variety of all kind of clothes for the sake of showing them off to amuse the public to be a certificated blogger? No. Should I keep seeking new techniques for telling everybody that I have mastered them? No. That's wonderful to have something to tell, but as far as I am concerned, it's not necessary to create something spectacle to tell in my sewing. My main purpose in my sewing is undoubtedly dressing myself to look nice, but not to look wearing nice clothes. (I hope you know what I mean.) I have low self esteem for my appearance and I really and fully need my clothes helping me. I tend to look a bit better in simple, un-authoritative, and well-fitted clothes, so I stick to such kinds of them. Sewing is not necessary if my wishes are fulfilled by retailed garments, but it rarely happens to me in spite of the fact I get what I wish by my sewing so very easily. In reality, there are some people who can do nothing but blame other people for not providing what they exactly wished, they keep doing it even in other people's blogs, and I came to understand that I didn't like to share such feelings with them soon after the "opinion" incident. My sewing is naturally to be boring, to observe, darlings. And it's more than fine with me, because it's working. I write my sewing, because I am hoping to tell you that sewing is so much fun and also very rewarding for us in each personal way. And why I blog? I really love to be your sewing friend too. You probably knew it. Phew! I guess I had too much gibberish today. Excuse me! sewed same as this skirt, lengthened much. 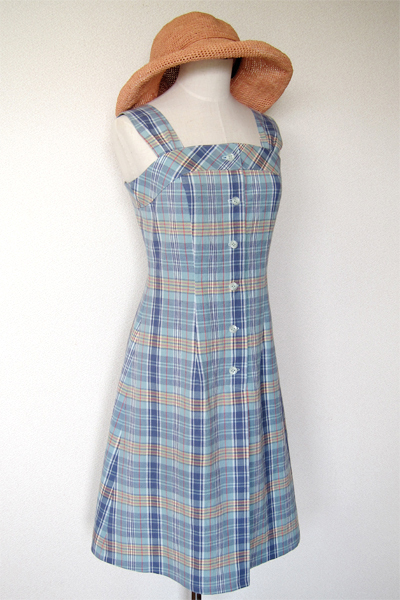 Polyester georgette, very light. fabric: Tencel rib jersey, soft, thin, stretches very well, very light grayish beige. 1 smaller size was chosen and also printed out to reduce to 97%, because the fabric I used was a rib jersey and it stretches madly. 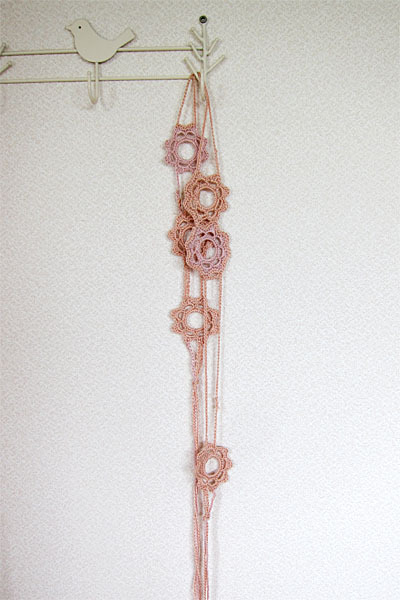 I crocheted the belt too. 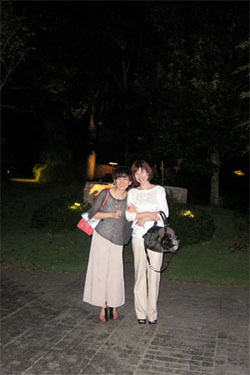 I sewed three summer dresses. 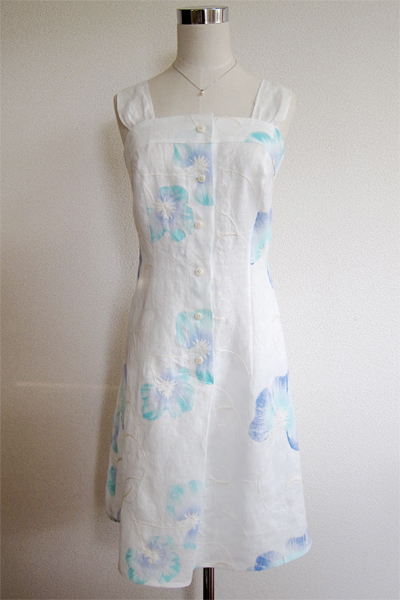 I sewed three summer dresses lately. Two of them are for me, and one is for my new torso. Yes, one of my friends kindly asked if I'd like to use the one which she no longer used, and I am finally equipped with a dress form! I sewed it as a muslin for the pattern to check the size and also to check the device, the dress was completely wearable, though. Another dress from the same pattern was adjusted to my measurements. It is made in my kind of print so that I can be comfortable in it on a hot day. 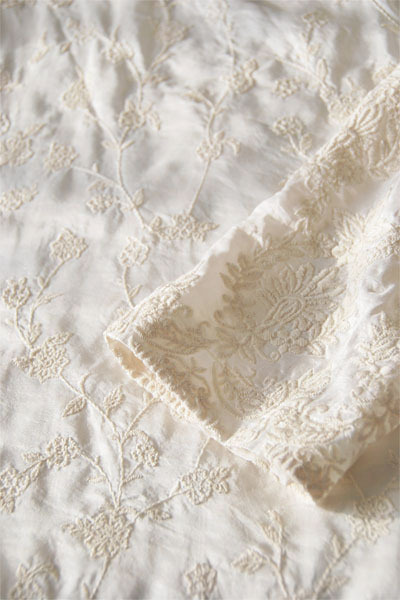 Fabric: light and plain woven linen, flowery printed, embroidered. 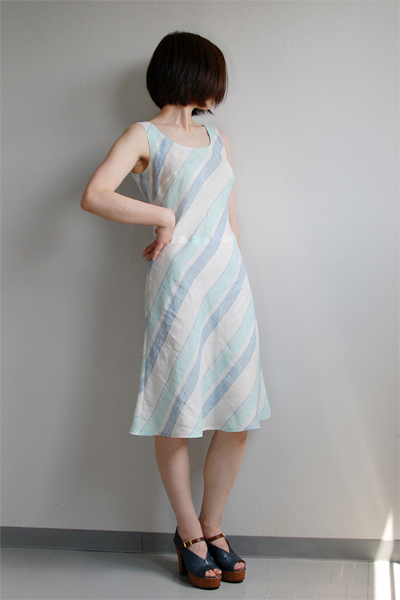 This dress is made from the fabric with horizontal stripes. The grain is bias. I wished the stripe pattern to give an interesting feel to this simple dress, and I think it did sorta so. Fabric: soft, loose and plain woven linen, horizontal stripe pattern.